We are proud to announce that we are gold corporate member of the OpenStreetMap Foundation! Do not hesitate and follow our example to support a valuable project. During the last months we have been constantly working on our services and released a new feature for our Route Optimization API: job groups. With job groups you can easily specify that jobs need be served successively, and it lets you specify priorities within a route. Furthermore, we simplified the way you can model multiple vehicle profiles in one optimization request and use even different road network data. As a critical update the ETAs were improved to better match conditions in rural areas. Additionally, we invite you to try the new GraphHopper Navigation SDK. 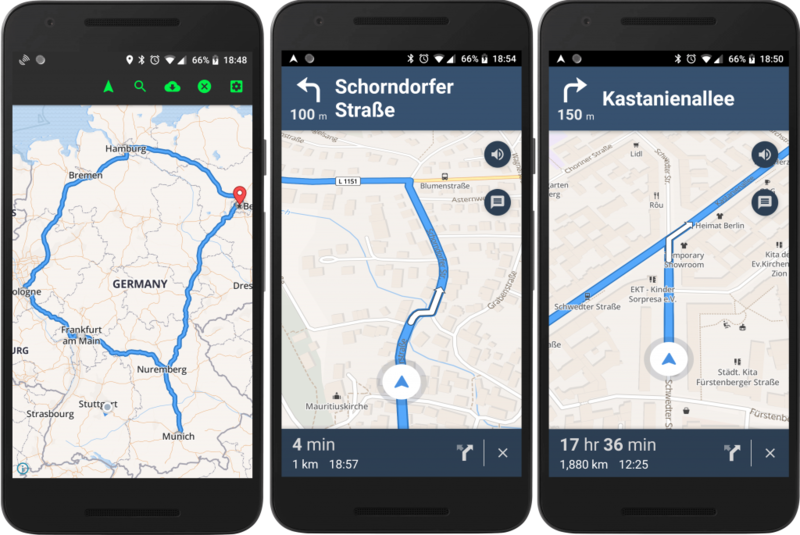 The Navigation SDK can be used in an alpha phase. This is really just a starting point and the software can have a few rough edges. But it is already used for real vehicle navigation e.g. in cars and on bikes. We will consider leaving this in our product portfolio if there is sufficient demand in the next 6 months. You can get such news even faster in our forum. We appreciate every feedback and wish you happy routing!